Virgos are very detail-oriented, to the point of sometimes being hyper-critical, but their careful, methodical ways are accompanied by a deep sense of duty and dedication, making them champions of community spirit. Humble, industrious, and organized, the Virgo can be both incredibly productive and energetic, but also fall into a trap of over-thinking and perfectionism that doubles as a form of self-sabotage. One thing often missed by many about the Virgo ego is the natural and Earthy sensuality that they save for a chosen few. 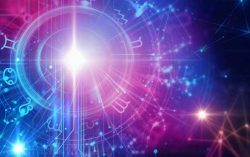 Like all signs, care must be taken to understand that Sun SIgn Compatibility is a comparison only of the astrological ego archetypes, and that with free will and love, all things are possible. 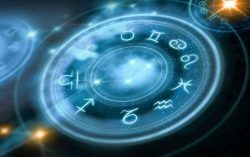 Even in astrology itself, there are other planets and connections in an individual’s natal chart that can reflect a different story. In any case, the Sign elements can give us a pretty good snapshot into the kinds of ego drives that can more easily mesh together as one. The Fire signs’ desire to lead and deep passions can be a surprisingly complimentary match to Virgo’s energetic work ethic and sense of right and wrong. Fire signs can help free Virgo from their tendency to get mired in the small stuff, but can also tend to be critical of Virgo’s slower pace. As long as communication and respect are kept in mind, this can be a healthy, and productive, match. The Virgo passion can be sparked by Fire, but compatibility will hinge on how much spark the Virgo lends back to the Fire Sign. While, in theory, Virgo’s earthy practicality can ground a more flighty Air sign, and a Virgo can be intoxicated by the intellectual flights of fancy of an Air signs, both signs may wind up frustrated in this pairing. A Virgo may struggle with what it sees as an Air sign’s frivolity, while Air may felt held back by Virgo’s meticulous pace. This pairing requires patience and understanding. A Virgo’s thoughtful and introspective communication talents can save the day and give the Air sign the deeper connection they desire, but if the Virgo often feels like they are having to “parent” the Air Sign more than “partner” them, Virgos can grow tired of feeling like the only adult in the room. Water signs make a good match for Virgo’s Earth. While Water signs share and nourish the slower pace of Virgo, the Water sign’s introspection skews more to the philosophical and even supernatural than the Virgo’s inclination toward intense, self-criticism, which can help the Virgo broaden their horizon. Virgo, on the other hand, can help ground the mysterious Water sign, and keep them organized while they consider more ephemeral interests. This is a pairing that nurtures and can ignite passion in both parties. Virgo can find matching up with a fellow Earth sign a comfortable prospect, since this duo shares the same methodical nature and interest in detail. The main caution here would be a fellow Earth sign could mirror Virgo’s own perfectionism in a negative way, leaving both parties mired in the mud. As long as motivation is fostered, and the Earth sign duo doesn’t let themselves get bogged down in details, this can be a cozy pair.